When it comes to a successful content marketing strategy, content curation and automation are a marketer’s secret weapons. By allowing you to find the content your audience wants to see, and to share it with them on a consistent basis, these tools can save your business valuable time, money and effort. Content marketing, the process of creating useful content that informs, entertains and otherwise engages your audience, rather than serving them up information that is purely promotional in nature, has proven to be the key to building a successful digital marketing strategy. It has also proven to be an undertaking that requires a considerable amount of time and effort, not to mention budget. Content curation and automation can not only simplify the content marketing process for your brand but can also make it more efficient and effective in the process. Content curation is the practice of finding and sharing the content that your audience would like to see. Rather than generating all the collateral that you would like to present to your audience yourself, content curation offers you the ability to share content that has already been created, by someone else. It’s a process of identifying what topics are relevant to your fans, hand-picking content that addresses these topics, adding your own two-cents, and serving it up. 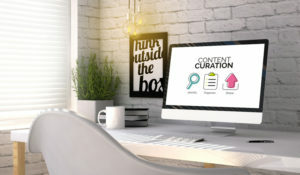 Content automation, the process of allowing an outside platform to take control of many aspects of your content marketing strategy, including sourcing the content and serving it to your audience, takes the benefits of curation one step further. Think of it as a way for the content marketer to have their cake and eat it too; by automating your content marketing process, you get all the advantages of following a content strategy, without the burden of finding the content, or the obligation of following a consistent schedule for sharing that content. With a couple of clicks on your end, your content marketing responsibilities can be handled for weeks at a time. 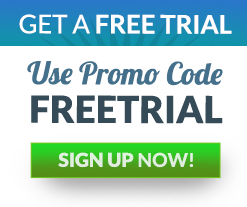 What are the Benefits of Content Automation? Whoever said ‘nothing worthwhile is easy’ may have had content marketing in mind. In order to be successful, a content marketing strategy requires skill, creativity, experience and perhaps most importantly, time. Content curation and automation tools like Post Café can streamline the process; by writing the engaging content your audience demands, and serving it up to them, we do the heavy lifting for you! Give us a call at 732-218-9377 to find out how to put Post Café to work for you.